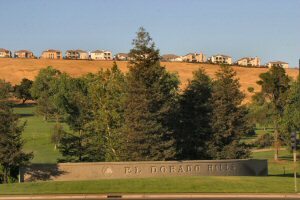 Let me show you why we choose to move to El Dorado Hills in Northern California. You can’t beat the great views across the Sacramento Valley to the snow capped Sierras surrounding Lake Tahoe. We have every kind of recreation available in our own county including snow skiing, water skiing, sailing on the lakes, hiking and fishing, off road vehicle trails, golf, camping, our own wine country (El Dorado, Placer, & Amador Counties), exploring gold rush towns, and white water rafting on the rivers are some of the delights of the area. You can find “small town living” and “big city conveniences”. 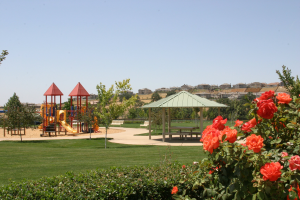 Homes range from condos to castles, senior living communities, small and large lots and acreage. You will be surrounded by all the necessary amenities to create that special quality of life; Highly Ranked Schools, Shopping, Medical Facilities, Entertainment, Restaurants, Parks & Playgrounds, Art Galleries, Golf Courses. 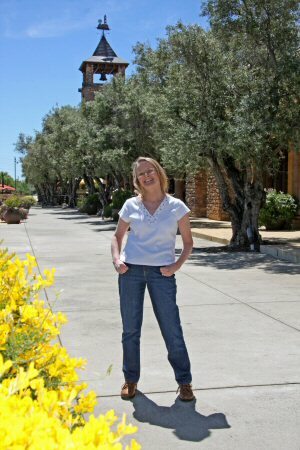 The heart of our area is the Town Center. Not only are there grocery stores, but one-of-a-kind gift shops and art galleries, restaurants, medical and professional offices, banks, Regal Cinemas 14, salons and spas, ice cream pallars and coffee houses, boutiques, Target, and special events like The Farmers” Market, The July 4th Fireworks Jubilee, Fallen Warriors Memorial Car and Motorcycle Show, and the Rotary Wine & Cheese Party Family Fun Fair, and Live on the Boulevard Events. On of our favorite things about the area is that we enjoy four seasons here. The beautiful spring weather and lush green hills renew our enjoyment of the entire area when outdoor activities in the lower elevations can be enjoyed. (El Dorado County goes from 200 feet above sea level to 10,000’ at Heavenly Valley Ski Resort). The summer brings opportunities to explore the many lakes and rivers, maybe get in some fishing and head to Old Town Sacramento for lunch or dinner on the Sacramento River. Fall is radiant in El Dorado County -- trees blazing with color and an annual trip to Apple Hill to celebrate the season. Then winter brings the white caps on the Sierra Mountains for the holidays and winter skiing. I thought you might like to see a gallery of pictures of our area to give you an idea of what you are missing if you don’t become our neighbors.